How to Run Network Cables? The best time to run your cables for a Computer Network is at the construction/renovation time. At this time it is the easiest to run cables and drill all the passage holes. If the building is already done and it doesn’t need any renovation you can still run your cables. For a new building, it is wise to run the cables through designated conduits and to calibrate your conduit so additional cables can be added at a later time if needed. Plan junction boxes at each floor or major node. For an old building, installing conduits might not be possible. In this case you need to tie your cables in a bunch and secure the bunch to walls, ceiling, etc… You need to use a fish tape to fish your cables in the wall cavity. You might need to use a stud finder to avoid obstructing framing. Adjust your outlet’s position accordingly. Very often the help of a second person is needed when fishing cables, especially when you fish the cables from ceiling to the outlet, behind the wall. In this case on person feeds the fish tape down, or up depending on the case, the other person tries to catch the fish tape with another fish tape or something similar. Once the fish tape is on the position, passed through the drywall hole, attach your cables to the fish tape using duct tape. Run a pull line as well, it will be very useful in the future, in the case you want to add additional cables or replace the defective ones. Make sure before drilling any holes into joists, that you follow the building codes. When you pull your cable through holes do not pull too hard as this could stretch the cable and modify its electrical qualities. Using a pull-string will provide additional firmness. Try to avoid electric cables and other electromagnetic sources. On an Ethernet type network, typically, we use a star network topology. 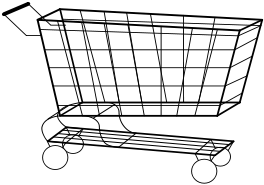 This means that all of the devices connect into a central point, which is usually a network switch. The network switch receives and distributes all the network packets to network devices. You need to plan your network so that the longest path from any two network devices is less than 100m, (328ft). If this is not possible plan using additional repeaters or switches. Position your network room, to obtain the least cable lengths.